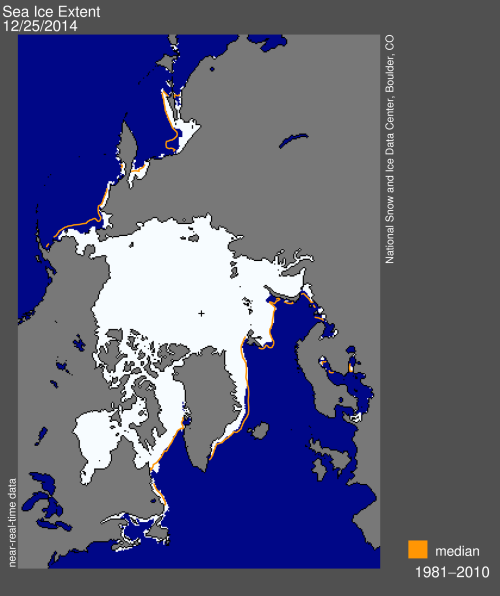 It’s also not surprising that the scientific evidence is contested, given that the indicators of climate change — like changing precipitation patterns over decadal time scales — may be difficult for ordinary citizens to detect, and given what’s at stake once we acknowledge that those indicators are correct. Initially — and even today, despite the fact that we’ve reached the gold standard for scientific certainty — some have questioned the quantity and quality of the evidence, feeding the public’s perception that the science is half-baked. In reality, by the time Hansen delivered his congressional testimony in 1988, he’d been researching the relationship between atmospheric components and temperature since the 1960s, building upon a line of scientific inquiry stretching back at least a century. Note the references I have highlighted in bold. The first suggests that we are too stupid to have an opinion and the second is a meaningless qualification that has no place in real science and again just says, stop thinking we know better. Of course, no discussion of models not matching observations and minor details like that. Ted should hang his head in shame. I am going to categorise this good news under “climate change” and “inspiring”! 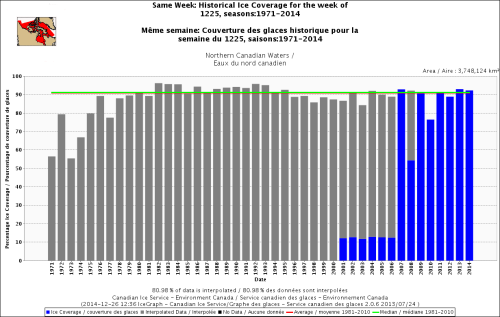 First, here’s today’s ice map (26 December 2014) published by the Canadian Ice Service. Click on any of the maps or charts below to enlarge. Just the latest in a long line of careful studies showing that climate models overestimate future temperatures significantly. Knappenberger and Michaels quantify the mismatch between models and observations. In a paper published in the Journal of Quaternary Science, Esper et al. (2014) write that tree-ring chronologies of maximum latewood density (MXD) “are most suitable to reconstruct annually resolved summer temperature variations of the late Holocene.” And working with what they call “the world’s two longest MXD-based climate reconstructions” – those of Melvin et al. (2013) and Esper et al. (2012) – they combined portions of each to produce a new-and-improved summer temperature history for northern Europe that stretches all the way “from 17 BC to the present.” And what did they thereby learn? Ted is a great resource for inspiring talks about “ideas worth spreading”. This one was highlighted by Kate Swaffer on her excellent blog about living with dementia. Megan Washington demonstrates that a speech impediment is no impediment to being an incredible singer.